What’s in store for the final season of Switched at Birth? 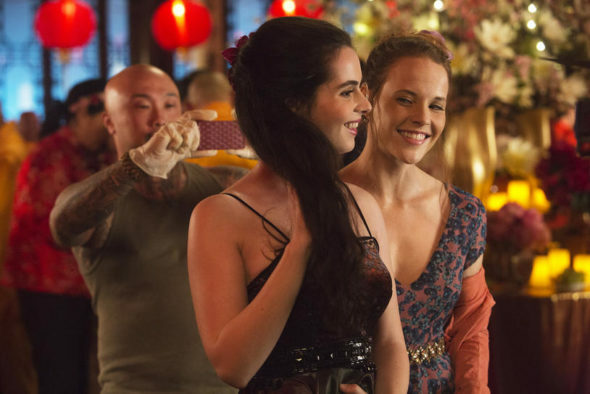 Recently, stars Vanessa Marano and Katie Leclerc spoke with TV Guide about the upcoming fifth and final season of the Freeform TV show. The drama follows the lives of two teenage girls after it’s discovered that they ended up with the others’ families as babies at the hospital. The cast includes Vanessa Marano, Katie Leclerc, Lea Thompson, Constance Marie, Sean Berdy, D.W. Moffett, Lucas Grabeel, and Giles Marini. This show has always been about identity. What defines you? Is it your family or your environment? What’s so nice about all of it is that we’ve come to a point with these girls — we started with these girls when they were teenagers just starting to figure themselves out. The fifth and final season of Switched at Birth premieres on Freeform on January 31st at 9 p.m. ET/PT. What do you think? Do you watch Switched at Birth? What do you hope happens in the final season? I wish that there was a session six for Switch at Birth. There could be the life of Carlton & Will to tell.